Other Notes: Exclusively Belgian hops. Brewer Description: (from website) Every year on the 24th of February, we celebrate the birth of Charles Quint. 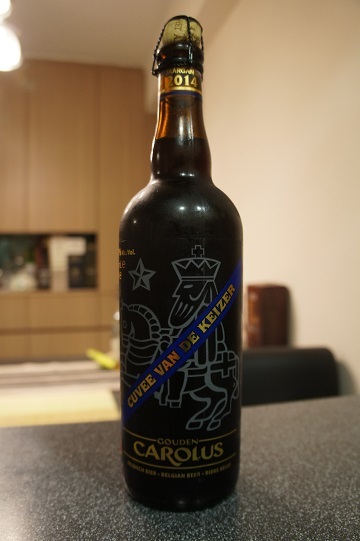 Therefore we brew a special beer in limited edition called Cuvée van de Keizer (‘Grand Cru of the Emperor’). 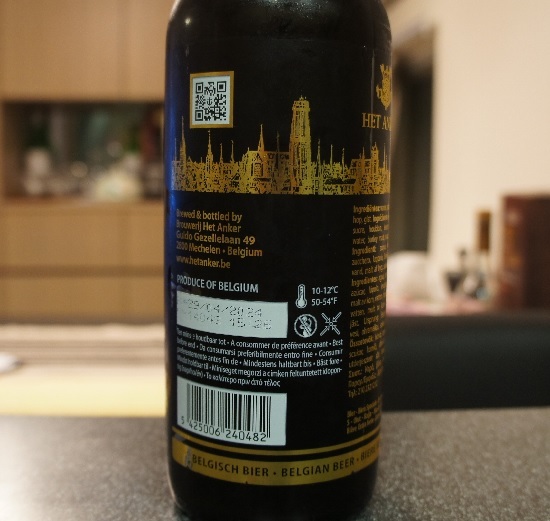 This exceptional beer is a special version of the Gouden Carolus Classic, with an enriched taste pallet and mysterious aromas added. The caramelised malts and its 11% Alc. Vol. 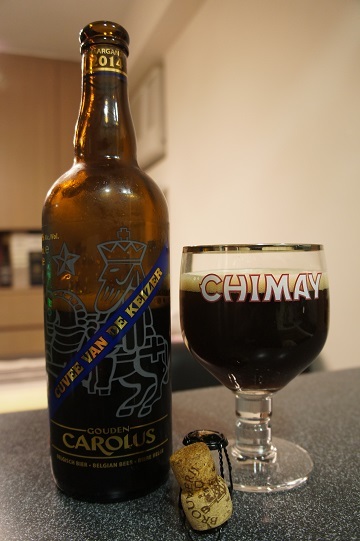 give the Cuvée van de Keizer the warm roundness of wine together with the refreshing taste of beer. It is imperially crowned with a cork so it can be preserved for a long period of time at a constant cellar temperature of 12° C (54°F). An imperial beer to cherish and enjoy in moderation. Intro: A 750ml corked and caged bottle. 2014 vintage with a best before date of 29th April 2024. Poured into a Chimay goblet. Appearance: The beer poured a dark brown colour with a slightly less than one finger tan head which quickly settles to a nice thin creamy layer leaving spotty lacing. 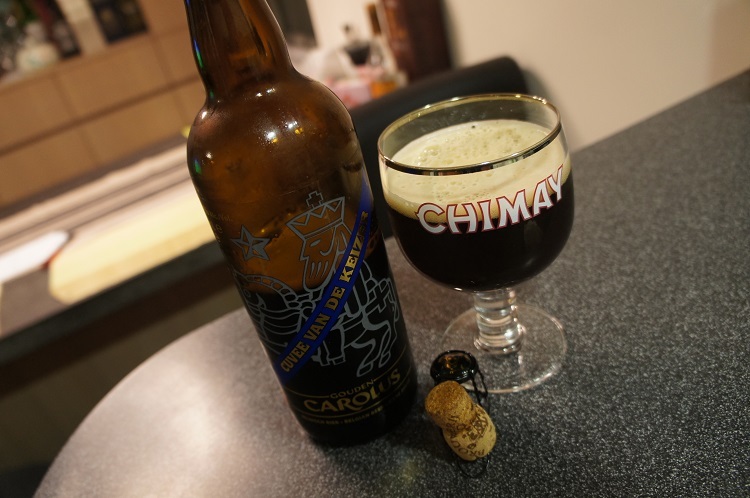 Aroma: Strong aromas of caramel and toffee, also lots of dark fruits, plum, raisin, prunes, dates, fig with hints of butter. Taste: On the sweet side with dark fruits dominating especially plum, raisin, fig and prunes. Caramel and toffee are in the background and hints of banana and bubblegum sweetness at the finish. Mouthfeel: Smooth and creamy, light warmness, medium bodied, light carbonation. Overall: A very good beer that is a must buy for me. Even at 11%, you don’t taste the alcohol. Great for a late night sipper. I’m going to age a few bottles and see what happens!